Gia photo!!! One word, BOOK THIS LADY!!! She was totally nice and down to earth, and she knew exactly what she was doing! We came from out of town, and the first photo shoot was on a cloudy day! We chose our two locations, and she drove us there to have our photos done. The garden photos turned out GORGEOUS!! !, however the beach was not so hot, as the clouds covered Chicago’s skyline. Needless to say she was fine with us redoing our second location shots, free of charge. The second photo shoot was the perfect day and the photo were absolutely STUNNING!!! Gia does wedding as well and she covers wedding outside Chicago, so if you need to have absolutely great memories for your special day, I would recommend Giaphoto! Gia is wonderful! Not only is she incredibly easy to get along with, which is an essential attribute you should seek in a photographer, but her photography is phenomenal. She has an exceptional eye for detail and if you are looking for a blend of creative as well as traditional, Gia is for you. Additionally, it was important for us to have a photographer that had previous experience with ethnic weddings and she does. It was important for us to not have to explain things regarding the ceremony and what kind of pictures to take and all that jazz. With Gia, we didn’t have to – she knew what she was doing and we’re very happy with the work. On our quest to find a photographer, we kept seeing the same old shots and really boring photos – not with Gia. Gia has a vision and executes. She’s not the kind of photographer that you would get with one of the those expensive-big-company-but-unpaid and unskilled-photographer-shops that are creeping up all over the city. She’s cutting edge in a great way and her work proves it. What was your favorite wedding photo? It is very difficult to pick a favorite photo. We love the one that captured the rings exchange. It is so real, so expressive, and full of emotions. One glance at it and we are back to that memorable summer day. How did the wedding photographer avoid disrupting the day? Great with candids? Action shots? Portraits? We even forgot she was around. She was very personable and courteous with all our guests. She was great at getting the right angles. We loved all the details captured, like jewelery and accessories which had a sentimental value to us. What was included in your wedding photo package? Albums? DVDs? Engagement pics? Two photographers? Our package included engagements pictures and albums. How did the photographer make you and family comfortable? We felt like she was part of the family. My mom still remembers her name. I saw her chatting and laughing with our guests. They were very comfortable with her. I am not very good at posing, but Gianina made me feel like I am posing for a living. Gia Photos has been family owned and operated for over 25 years and offers breathtaking photography packages for all your social or corporate events, from weddings , engagements and surprise proposals to family and baby photos. The Gia Photos is well known for its beautiful decor, spacious rooms and premium quality cuisine. Situated in the heart of Niles, the Chateau Ritz is conveniently located for a Chicagoland reception or event, bordering northwestern Chicago and easily accessible by I294, I94 and I90 expressways. Our experienced photographer provides attention to detail to make your event memorable. To find out more please visit the contact section of our site to schedule a personal guided tour of our venue or to contact one of our event coordinators. Gia is amazing - when she is directing a photo shoot, she provides perfect instructions and sets up nice shots. Most importantly to me, she is amazing at being a fly on the wall - she captured hundreds of excellent candid shots (one below included) without anyone really noticing she was there. She was always there when I needed her for a specific picture, without me even realizing how close she stayed to the groom and myself throughout the evening. She captured excellent shots of my guests, as well. Gia photographed my wedding downtown Chicago and it went wonderfully. She took into account every consideration and had so many great ideas of her own for photos to take. After the ceremony she was efficient and organized in getting the groups through the different photos. During the reception we had an unplanned change in the schedule and she was very responsive, flexible and easy to work with. We received the photos within the time frame she committed to. I would definitely recommend her as a wedding photographer. Loved Gia. She took our engagement photos and we are both fairly awkward when it comes to photos but she managed to help us relax and really capture how happy we were together. She's nice and very accommodating. I highly recommend. 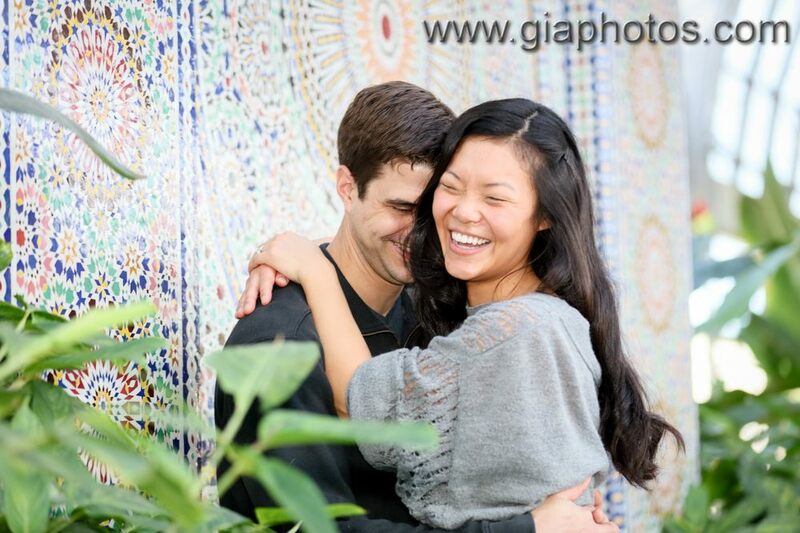 Gia did a wonderful job with our engagement photos!! She was flexible with her schedule, fun and easy to work with, and was open to my ideas for pictures as well as having cool and creative ones of her own! Great price for an amazing two hour session! Thank you Gia, it was a pleasure working with you!!! My fiance and me loved our surprise engagement photos!!! I wanted to propose and wanted to get pictures of the moment . Since day 1 of contacting Gia , the service was extraordinary. She gave me ideas of places for the surprise proposal, let me know her availability and gave me a lot of insight into the location. At the surprise proposal, she made sure to capture all the moments , making sure that my fiance did not see her . After the proposal we did a photoshoot, she helped us get the best poses. The event was Saturday afternoon and she sent us the photos Monday!!! Thank you again for your incredible customer service. We are rrakkr satisfied, totally recommended!! !